How can we help? Call us at! Many people use the words “plastic surgery” and “cosmetic surgery” interchangeably; which has led most to believe that they are the same. However, this couldn’t be further from the truth. While it may not seem like a big deal, for those looking to get one of these procedures done, the last thing needed is confusion. Cosmetic surgery is recognized by the AMA (American Medical Association) as a separate and distinct specialty from plastic surgery. 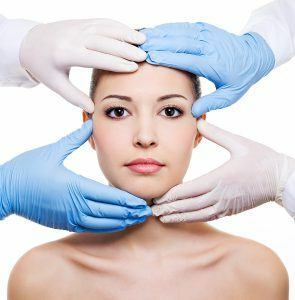 It is a unique discipline of medicine focused on enhancing appearance through surgical and medical techniques, and can be performed on all areas of the head, neck and body. On the other hand, plastic surgery is defined as a surgical specialty dedicated to reconstruction of facial and body defects due to birth disorders, trauma, burns, and disease. Plastic surgery is intended to correct dysfunctional areas of the body and is reconstructive in nature. Plastic surgeons (like many other surgical specialists, including but not limited to, Otolaryngologists/ENT, Oral and Maxillofacial Surgeons, Dermatologists and Ophthalmologists) do learn cosmetic procedures during their residency. However, the Accreditation Council for Graduate Medical Education (ACGME) only recommends that residents in plastic surgery perform 55 cosmetic procedures to be considered adequately trained. These include ten breast augmentations, seven face lifts, eight blepharoplasties, six rhinoplasties; five abdominoplasties, ten liposuctions, and nine “other” cosmetic procedures. 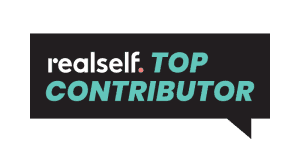 I do not believe that number of procedures is enough to truly become efficient in the full scope of cosmetic surgery and in fact, most plastic surgery educators agree with me. This is exemplified in a 2008 article published in the Plastic and Reconstructive Surgery journal, where a survey of cosmetic surgery training in plastic surgery program directors encouraged their residents to pursue some type of postgraduate cosmetic fellowship. There is no doubt that the residency experience pales in comparison to formal fellowship training in cosmetic/aesthetic surgery. Cosmetic surgery procedures enhance a person’s appearance toward some aesthetic ideal. Cosmetic surgery is practiced by doctors from a variety of medical fields including dermatologists, facial plastic surgeons, general surgeons, gynaecologists, oral and maxillofacial surgeons, ophthalmologists, otolaryngologists, plastic surgeons, as well as doctors from other fields. Unlike cosmetic surgery, plastic surgery focuses on repairing and reconstructing abnormal structures of the body caused by birth defects, developmental abnormalities, trauma, infection, tumors or disease. To find the most qualified doctor for a cosmetic procedure, it is recommended that you compare a doctors’ overall (residency and post-residency) training, experience and proven competence with respect to that specific cosmetic procedure. Keep in mind that the residency training required to become board certified in plastic surgery may not include training to many common cosmetic procedures. Therefore the title “board certified plastic surgeon” may indicate certain training and experience in plastic surgery, however, it does not necessarily indicate the same training and experience in cosmetic surgery. Natural Image OC is based on the premise that cosmetic surgery doesn’t have to leave you looking as if you had surgery. Old school surgical techniques often create over-tightened, flat, wind-swept appearances. Dr. Sikorski’s early training in Fine Arts gave her plenty of background in understanding how to create – and recreate – natural facial contours through surgery. For 15 years she perfected artistic talents through drawing, painting and sculpting as a primary educational pursuit. Transitioning into Cosmetic Surgery put those finely honed skills and training to work right away. *Medical dermatology (i.e. dermatitis, skin cancer screening) services are not eligible for complimentary consultations. Aliso Viejo, Dana Point, Laguna Beach, Mission Viejo, Costa Mesa, Coto de Caza, Irvine, Laguna Hills, Laguna Niguel, Newport Coast, Newport Beach, San Clemente, San Juan Capistrano, Rancho Santa Margarita, Tustin. For monthly specials, sign up for email newsletter. By checking this box you hereby agree to hold Natural Image OC, including its doctors and affiliates, harmless from any hacking or any other unauthorized use of your personal information by outside parties. By checking this box and submitting this form, you hereby agree to receive email communication from Natural Image OC.